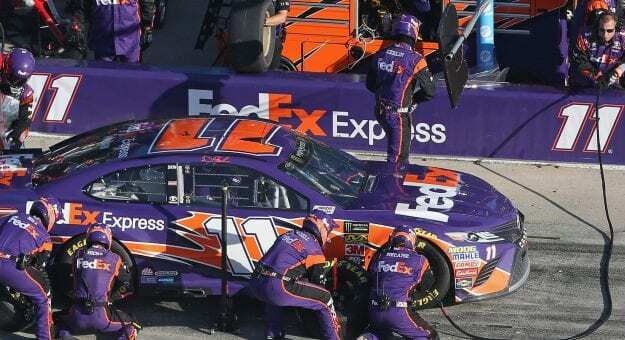 HUNTERSVILLE, N.C. – Joe Gibbs Racing announced today it’s crew chief lineup for the 2019 season. Chris Gabehart will serve as crew chief on the No. 11 Monster Energy NASCAR Cup Series Toyota. Gabehart spent the past three seasons as a crew chief in JGR’s Xfinity Series program, capturing a total of nine wins over that time. Eric Phillips will also make the move from the Xfinity Series to assume the role of car chief with the No. 11 team. He compiled eight wins over three seasons as crew chief on the No. 18 Xfinity Series team. In addition, JGR announces the addition of two crew chiefs to its Xfinity Series program. Jeff Meendering returns to the organization to fill the role vacated by Gabehart as crew chief on the No. 19 Xfinity Series with driver Brandon Jones. Meendering spent that past two seasons with Stewart-Haas Racing as crew chief on the No. 00 car. Ben Beshore will move from his current role as engineer on JGR’s No. 18 MENCS team to replace the vacancy left by Phillips as crew chief for the No. 18 Xfinity Series Toyota. JGR’s ARCA Series team will also have an addition for 2019 with the hire of crew chief Mark McFarland. He joins the organization from MDM Motorsports where he served as team manager and crew chief in the K&N Series as well as ARCA. “With such a short offseason it’s important to start work toward the 2019 season immediately and we are proud with the teams we have assembled now, both in the Monster Energy NASCAR Cup Series and in the Xfinity Series,” said Joe Gibbs, Owner of Joe Gibbs Racing. “With Chris Gabehart joining Adam Stevens, Chris Gayle, and Cole Pearn on the Cup side we believe we have the right leaders in place to benefit our entire organization.